Qatar is becoming a top destination of OFWs in the Middle East. These Qatar facts will help you decide in going there or adjust to your new home. To enjoy life in Qatar, one must understand the culture. This applies whether you work in the capital Doha or in other cities. Qatar is an Arab emirate. The Persian Gulf surrounds the state and a strait separates Qatar from the island nation of Bahrain to the northwest. It borders Saudi Arabia to the south. The al-Thani family has ruled the country since the mid-1800s. Qatar is rich in oil and gas. It has the third largest gas reserves in the world after Russia and Iran. Oil and gas have raised the standard of living and made Qatar the second highest per-capita income country, after Liechtenstein. The need for household service workers or HSWs will rise as living standards improve. Are you worried about abuses against HSWs? Reforms to protect Filipino HSWs raised minimum age to 23 years old and monthly salary to $400, removed payment of placement fees and assessed skills of HSWs. But there are still risks, so be careful. 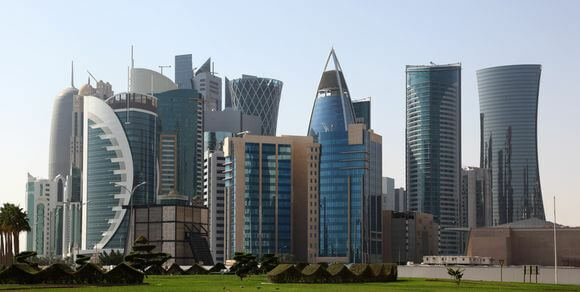 The oil and gas sectors will keep more job vacancies in Qatar unfilled for some time to come. The sectors and construction projects demand engineering and related jobs. 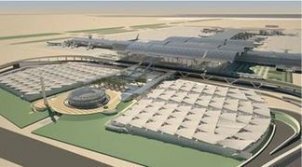 Head hunters look for skilled workforce for building the New Doha International Airport and a new city, Lusail - the largest project ever in Qatar. As life improves, the population's medical needs grow. Improving health care requires health related and nursing jobs. Qatar Education City needs teaching jobs as it houses educational facilities from school age to research level. Read here on how to find Qatar jobs at the POEA website. You can work in Qatar through a sponsor or kafeel under the Qatar labour law. A worker, not a tourist, may not enter or leave the country without a kafeel. And many sponsors do not allow the transfer of an employee to another sponsor. HSWs are prone to abuse because of this system. Facts about culture in Qatar will help. Based on Islam, Qatar culture is almost the same as that of other countries of the Persian Gulf. Culture in the region varies little from country to country. It is said that Qatar is in the middle of conservative Saudi Arabia and liberal United Arab Emirates. Qatar has lately allowed the construction of Catholic and Christian churches in the country. The new Constitution ensures freedom of religion but puts some restrictions on non-Muslims' public worship. And proselytism is not allowed. For some Filipinos, life in Qatar is not complete without liquor for some occasions. Alcohol is allowed but you can buy and drink it only in certain areas. There are bars and hotel clubs to party. There are no religious police, but it's better not to get on the wrong side of the custom. Weather in Qatar is extreme. You can feel intense heat with temperatures reaching 50 degrees Celsius in May to September. Winter may fall to 5 degrees Celsius from November to May. The presence of foreign workers requires Qatar food to cater to their palates. But this does not mean you can eat what you want here. Pork is not allowed in the Persian Gulf so don't expect to have it served in public. But you can try their food, some of which may be familiar. 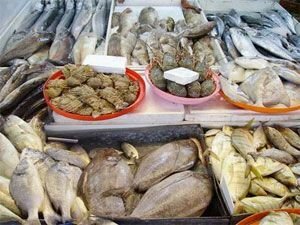 Grilled or boiled fresh fish and seafood from the seas around the country are still popular. People love foods with lobster, crab, shrimp, tuna, kingfish and red snapper (maya-maya). Meat dishes are mostly based on lamb. If all else fails, go fast foods, with Qatari flavor of course. You can even satisfy your hunger for Filipino foods in several Filipino restaurants. Living and working in Qatar would change your life. But I'm sure you can adjust in due time. These Qatar facts are not complete but they give you an idea about life in Qatar. Otherwise, you can try other countries where OFWs and Filipino immigrants go. Have your say about this page! Leave a comment in the box below. This is safe with me. Guiding overseas filipino workers or OFWs and Filipino immigrants, linking them overseas and sharing their stories and challenges in search of a better life away from the Philippines. OWWA benefits for OFW-members, seamen or seafarers and their dependents include scholarship programs, financial assistance, health benefits and free training courses.